Given that the mystery of who shot and killed Tupac Shakur just over two decades ago is still unsolved, it doesn't come as a surprise that there are still ample facts to uncover. Most recently, as reported by TMZ, a police document uncovered by the A&E producers of the docu-series Who Killed Tupac? reveals that the handgun that was used in the murder of the legendary rapper was found, but that its current location remains unknown. As reported, the gun was found 19 years ago in a Compton backyard—despite the fact that Tupac was shot in Las Vegas and the weapon should have been turned over to LVPD if and when recovered—but nevertheless, at this time, no one in law enforcement appears to know its current exact whereabouts. The report also asserts a prosecutor had the gun be held by L.A. so as to prevent anyone involved in a potential murder conspiracy from learning about its existence. According to the document, the .40 caliber Glock was found by a citizen in 1998, who promptly turned it into the police. Compton PD records reveal that it was booked as "found property" on May 30, 1998. Two years later, in 2000, the L.A. County Sheriff's Dept. took over law enforcement of Compton. During this transition, 3,8000 confiscated firearms were transferred over to the LAPD. As the report continues, in 2006, Deputy T. Brennan, who at the time had been working on the Notorious B.I.G. 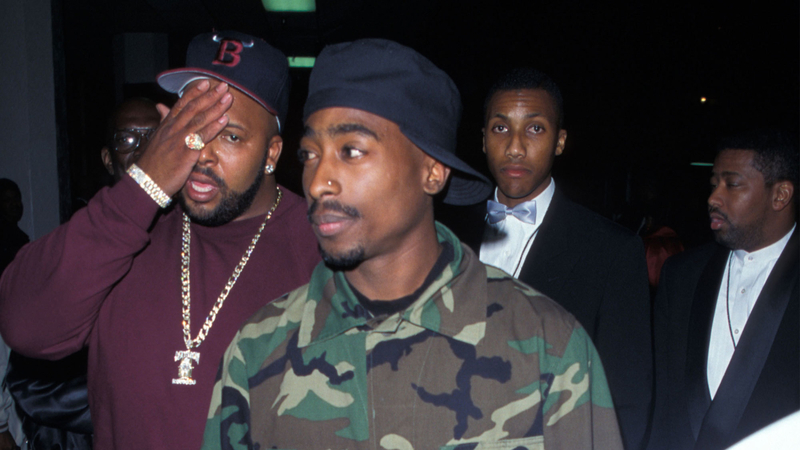 murder case, revisited the records, during which he recognized that the address where the gun was found was the home of the girlfriend of a known Crip member, who happened to have had beef with Pac in the past. That same year, ballistic testing resulted in the found gun being declared a match for the firearm used to kill Pac. However, just over a decade later, and the location of the gun in question is yet another mystery to add to the pile, with A&E producers unsuccessful in finding any law enforcement who could inform them of the location of the gun. TMZ additionally got in touch with Detective Timothy Brennan, who asserts that there is no reason why the location of the gun is currently unknown. Per Brennan, after the ballistic testing confirmed the gun was a match, ATF agents sent the gun to Las Vegas police. However, according to Brennan, who is now retired, LVPD didn't believe the gun to be a match and rejected the weapon, but didn't disclose their reason why not. The next step, if everyone followed protocol, should have been to send the gun back to L.A. Per TMZ, Brennan believes that the gun is still in the custody of L.A. authorities, further adding to the mystery of it whereabouts. For a more in-depth look into this matter, be sure to catch up on the A&E series, Who Killed Tupac? which is set to air its season finale this Tuesday (Dec. 19) at 10PM ET.